The Doctors, auxiliary professionals and staff at Benoff Chiropractic Center have been helping people in the Bucks and Montgomery Counties and surrounding area feel better since 1986. Our office offers a truly integrated approach to healthcare, utilizing expert chiropractic care and complimentary disciplines to create a customized plan for your individual needs. Massage Therapy and Acupuncture treatments are available, along with physiotherapies, basic exercise instruction and Nutritional Counseling. 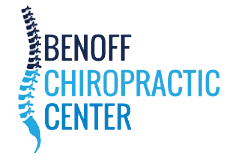 The support staff at Benoff Chiropractic Center is consistently recognized as being friendly and knowledgeable. They are always happy to help you with any questions or concerns. Dr. Ilana has been practicing since 2000. Her philosophy of care is a truly integrated approach utilizing her considerable chiropractic experience, physio-therapies, nutritional counseling and patient education. She specializes in Sacro-Occipital Technique ( SOT), while also utilizing Thompson, Diversified, Activator and other methods as appropriate. Dr. Ilana performs Cranial, Spinal and Extremity adjusting techniques. Dr. Helen began chiropractic practice in 1989. Prior to becoming a chiropractor she was a registered nurse for 10 years. She utilizes drop work, diversified and activator techniques and is currently in the process of obtaining certification in Sacro-Occipital Technique (SOT). Dr. Helen also performs trigger point therapy, myofascial release and extremity adjusting. She is certified in adjunctive procedures and incorporates nutritional counseling in her care plans. Joy has been the Office Manager at Benoff Chiropractic Center for over 30 years. The most challenging issue for healthcare offices is dealing with the constantly changing insurance industry. Joy has kept up with regulations, always making the best decision possible to keep that delicate balance between patient needs and office requirements. She is available to answer any questions you may have. Raiya has spent the last 17 years making all patients feel welcome in our office. She handles appointment scheduling and reminders as well as doing insurance verification and billing. She is most efficient with all activities that involve the reception area of the office. Patrice joined our team over five years ago, adding to a great front office experience. She handles appointment scheduling and reminders and will check your insurance benefits before your initial visit and whenever there is a change. She is always ready to make you laugh with a joke or trivia tidbit!